Frankie Dettori’s Magic Seven released by Playtech is fitted with 5 bright reels and 25 paylines. 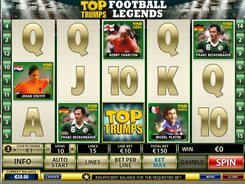 The game is devoted to a professional jockey who set a world record winning seven times in seven horse races in one day. 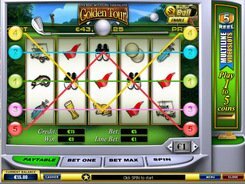 The symbols of the online slot machine are Frankie Dettori himself, a horseshoe, a hippodrome, a cup and other themed icons. Hitting combinations of identical symbols, you get a cash prize. 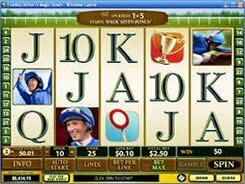 The most sought-after combination is five Franki Dettori symbols that pay out 7777 coins. In addition, the famous jockey represents the wild symbol that substitutes for missing icons to create a winning combination. The game’s logotype serves as the scatter. 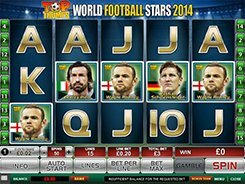 If two or more of them occur anywhere on the screen, your cash balance will be topped off with a win of x1 to x250 your initial bet. 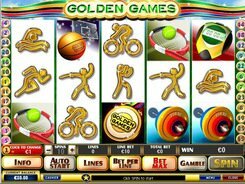 Three scatters open up the Free Games Race with 10–35 free spins. In the Free Games Race you will participate in a horse race and should bet on one horse. A horse of your choice can bring you up to 35 free spins and generous multipliers. The Bonus symbol occurs on the first and fifth reels simultaneously triggering the Magic Seven Bonus with great trophies waiting for you. After each winning spin you have an option to start a gamble feature. Choose one facedown card, and if its value turns out to be higher than the dealer’s card, your win in the triggering spin will be doubled. PLAY FOR REAL MONEY!